The Article 50 Bill which paves the way for the UK to exit the European Union (EU) was, as expected, passed through the House of Commons tonight, without amendment. The Bill will now head to the House of Lords. The government did say though that Parliament will be able to reject the settlement when finalised. The Labour Party took a rather confusing position yesterday, as its spokesperson on exiting the EU, Sir Keir Starmer, hailed it as a great concession by the government that MPs will be allowed a take it or leave it vote on the deal. Then the vast majority of its MPs voted for its own amendment giving MPs a veto over the deal. By this morning Starmer was still claiming it as victory for Labour, saying that the Prime Minister would not leave the EU with no deal other than World Trade Organisation terms, but this is probably just wishful thinking at best. At worst a piece of political spin Alistair Campbell would have been proud of. In reality, opposition MPs will have to accept whatever Theresa May can get from the EU, or they will get the blame for forcing the hardest of Brexits on the country. Game, set and match to the government, with Labour just looking impotent. Labour only have themselves to blame, by making it clear that the party would vote for the Article 50 Bill, whether or not its amendments were accepted, which gave the government no reason to concede anything. This concession is what has already been promised by the government months ago. We know this has been a tricky issue for Labour, with most of its voters voting to remain in the EU, but most of their Parliamentary seats in the north of England and in Wales voting to leave. Even so, I have been puzzled by their approach, since the party as whole was pro-remain and having elected a leader on the basis of principled politics, rather than chasing the whims of a few voters in swing constituencies. Well, all that appears to have changed. An interesting piece in yesterday’s Guardian sheds some light on Labour’s approach to Brexit. Written by Anthony Wells who works for the opinion pollster YouGov, he reports on a study of Labour leave and remain voters, in which they were offered four different scenarios of how Labour should react to Brexit. The least unpopular option with both sets of voters, although not necessarily the most popular with either side, is of a soft Brexit, that is, leaving the EU but staying in the single market. In other words, the lowest common denominator. This stance is of course the same one that the government has taken, although not a single EU leader thinks this is realistic. We were promised that with Jeremy Corbyn as leader, Labour would abandon triangulation and the obsession with focus groups of the new Labour years, but this looks uncannily similar to the tactics of the Blair/Brown government. The trouble with this approach now, is if the government makes a pig’s ear out of the negotiations with the EU, which is probable, Labour will be unable to do anything about it, other than effectively choose an even worse option. And when they had the chance to gain some real influence over the negotiation, Labour waved it through, for fear of upsetting some of its supporters. They will hardly be able say that they looked after the best interests of the country during the Brexit process, when in fact they meekly accepted the government’s agenda. 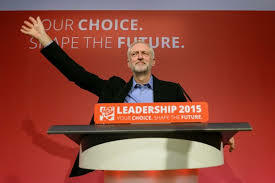 Labour is now irrelevant on the biggest political issue in the UK for decades and will deserve the heavy defeat they will almost certainly get at the next general election, whatever spin they are trying to put on the situation now.